Quanda group is an enterprise integrated with the production and trade of the polymer material, synthetic material and industrial material, which is committed to providing the scheme with the material R&D, material selection, technical guidance, finish machining and application track integrated. Our products related to the precise mould, hand tool, mechanical equipment, hardware appliances, printing and packaging, mine and oil fields, construction, electronics and semiconductors, aerospace, medical equipment, food hygiene and many other industries and fields, provide customers with high-quality materials and industrial components through the excellent technology and quality control system. Quanda, as established in 2006, has an insight the requirements of the basically material industry are increasingly high as the manufacturing level is improved, even the premise of many new industrial technology revolution should be the material technology revolution. Therefore, we have a dream of creating a complete industrial chain in the polymer material field to realize the organic combination of manufacturing and material. The key to the industrial chain is the goal of the resources integration which includes the equipment development, the raw materials selection, material molding technology，finish machining, the standardized packaging and logistics. The lofty dream and clear goal let us stand higher and see farther. The requirements of customers is our own requirements, customer satisfaction is our greatest satisfaction. Based on this point, our culture "Serve with heart and soul to ensure your satisfaction" and the concept "open, communication, sharing" is rooted in every colleague's mind of the company, which is the interpretation of the "Quanda" brand. The first step to make dreams come true is action and we are always in action. When the customer needs parts, our R & D design team will study deeply to recommend the most suitable materials for customer according to their operation environment and requirements and provide the precise design drawings at last. We will take control the whole process from concept, design, material selection, molding, color matching to production for the required parts, through which our technology can make deep-going way into every link with our rigorous cooperation and ensure a safe and efficient delivery for customer with standardized packaging and logistics system. At the same time we will track and make statistics for the product use situation to get the analysis data for the followed improvement. Our products involved in the general class ABS, PMMA, PS, PB, PVC, PP,PE; engineering class PA,POM,PC,PET,UHMW-PE,PEEK,PES; special class PPS,PSU, PI, PAI, PTFE, PVDF, PCTFE, PEI, POB, PPO, TPU; elastic plastic TPE, SEBS,TPS, TPO, TPA, TPVC; anti-electrostatic shielding plastic ABS, POM, PET, PA, PMMA,PC,PE; insulation plastic class PF, phenol Bakelite，EP epoxy series，UP unsaturated polyester resin, synthetic stone and other insulation material for electrical appliances ,modified and reinforced plastic and plastic alloy, foaming foam 3D printing supplies, more than ten categories with hundreds of plastic profiles varieties. The profile products include the plate, sheet, rod, pipe, injection molding and special-shaped profile, is one of the few full-series polymer plastic profiles and new materials enterprises in China. We have dozens of professional technicians who are expert at plastic hardware and mould processing for more than ten years; we can also combine it with hardware metal processing closely to customize various types of precise plastic & metal parts with high quality for customers. Quanda complies with the ISO9001:2000 international quality standard certification system for all the designs, manufacture and inspection. We will uphold the international advanced management system and strive to create a new technology to create a new future of polymer materials in China. Quanda decides to take collectivization and the business-grouping as the development direction for the future. The thinking of development is to divide the group into a headquarter of functional departments, some subsidiaries (sub-subsidiaries) and the business group. We are at the forefront of the industry as the aspects of R&D, production technology, precise machining, sales channels, electronic commerce and the talent resource integration. The construction of the team is carried forward actively and orderly. The current six major cause of our team: the standard profile group, electronic insulation material group, special-shaped profile group, fluorine plastic group, packaging and printing materials group, 3D-print materials business group have begun to take shape, each group unifies together organically under the headquarters' coordination ,forming as a most competitive core. Shenzhen Quanda Plastic Products Ltd. Co., belongs to the Quanda Group, is a professional plant engaged in the thermoplastic plastics profile extrusion, casting, molding. Our sales network has reached all parts of the world based on the group resource platform and our customers distribute in many industries. The application case of energy, aerospace, health, environmental protection, electronics, heavy equipment industry is mature. We will also actively develop the research and development of the required new materials and composite materials, to provide the various new composite materials for manufacturing. We can not only produce the satisfaction thermoplastic profile, but also customize all kinds of precise parts required by customers through the precise machining and design department. The experienced engineers strictly control each link of the production according to the ISO9000 quality system to make your assured. Quanda Fluoroplastics group is a member of China Fluoroplastics Association Council, has a complete industrial chain. 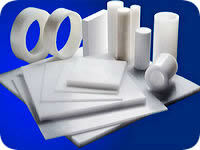 We are integrated with fluorine plastic material, design and production. Standardized production plant, ISO system certification, precision machining and other ancillary provide a powerful guarantee for Fluoroplastic. PTFE (polytetrafluoroethylene), PVDF (polyvinylidene fluoride), sheet, rod and tube in various specifications are stocked in Pearl River Delta. Fluoroplastic are widely used in the chemical, electronics, energy, seals, marine, medical, environmental protection and other industries because of the good wear and corrosion resistance, excellent sealing property and high temperature resistance. Quanda insulating materials group is a production and sale enterprise for electrician, and electronic materials where production base in the Pearl River Delta in future.Products are 3640 epoxy pipe, 3240 epoxy board, 3520 phenolic paper tube, FR-4 board, FR4 push rods, 3025 phenolic cotton board, 3025 phenolic cotton rod, 3024 phenolic laminated cardboard, mica plates, cold plates, GPO3 unsaturated polyester glass fiber, durostone glass fiber sheet, Stone lead-free glass fiber sheet, INGUN sheet, insulating sleeve and dozens of varieties, a number of products have obtained CE, UL, Europe electrician certification. They are widely used in the electric power grid construction, high and low voltage electrical appliances, and extensive electronic communications industries. Currently applying for ISO quality system certification, I believe that through our efforts to provide customers with specialized services. Quanda Group Profile Business Group is an integrated enterprise of producing and selling thermoplastic extrusion plastic. We serve you as product design, molding, coloring etc. and produce complex geometry profiles, combined with injection process and post-processing can provide customers with a complete product assembly and manufacture. 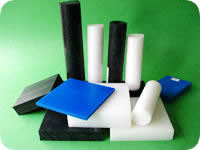 The regular materials are general engineering plastics, high performance engineering plastics. Production base in Shenzhen, products are window fittings, LED lamp shade, lighting shade accessories, all kinds of pipes and profiles, accessories, stationery, gifts, toys and matching accessories, etc. We strive to provide high-quality, easy to use, economical profiles. The company passed ISO quality system certification, self-control to product quality, production, expects more clients to work with us. Packaging and printing materials Business Group is a trade enterprise specifically for advertising, printing, packaging, decoration and other industries. 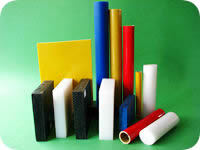 Many experienced manufacturer of plastic film sheet provide OEM service for us. We provide a stable quality of film and sheet products for customers include ABS, PA, POM, PP, PE, PS, HIPS, PI, PET, PTFE, PC, through our comprehensive quality control.PVC films and materials, standard rugged packaging, through the establishment of our own brand, and strive to establish uniform standards in the packaging and printing materials, in order to save time and effort in customers purchasing.